Safety is more than the absence of accidents. Safety has the goal of transforming the levels of risk that are inherent in all human activity, while its interdisciplinary nature extends its influence far into most corporate management and government regulatory actions. Yet few engineers have attended a safety course, conference or even a lecture in the area, suggesting that those responsible for the safe construction and operation of complex high-risk socio-technical systems are inadequately prepared. This book is designed to meet the expressed needs of aviation safety management trainees for a practical and concise education supplement to the safety literature. 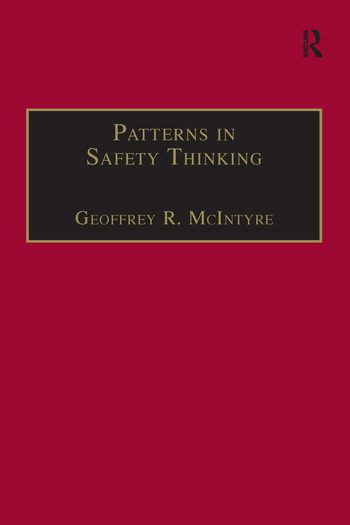 Written in a highly readable and accessible style, its features include: ¢ detailed analysis of the forward-looking System Safety approach, with its focus on accident prevention; ¢ classification of transportation safety literature into distinct schools of thought (Tort Law, Reliability Engineering, System Safety Engineering); ¢ real world, practical, illustrations of the theory; ¢ the history, theory and practice of safety management; ¢ inter-disciplinary thinking about safety. The flying public is faced with a bewildering array of aviation safety data from a diverse and ever increasing number of sources. This book is an essential guide to the available information, and a major contribution to the international public debate on aviation safety. Contents: Introduction; Transportation Tort law school; Reliability engineering school; System safety engineering school; Conclusion; Bibliography.